Suva, Fiji, 14 February 2018 – Hosted by the Government of Fiji and organized by the International Organization for Migration (IOM) and the Platform on Disaster Displacement (PDD), the capacity building workshop allowed participants to take stock on national and regional policy development and discuss opportunities for a regional framework on human mobility in the context of disasters and climate change. 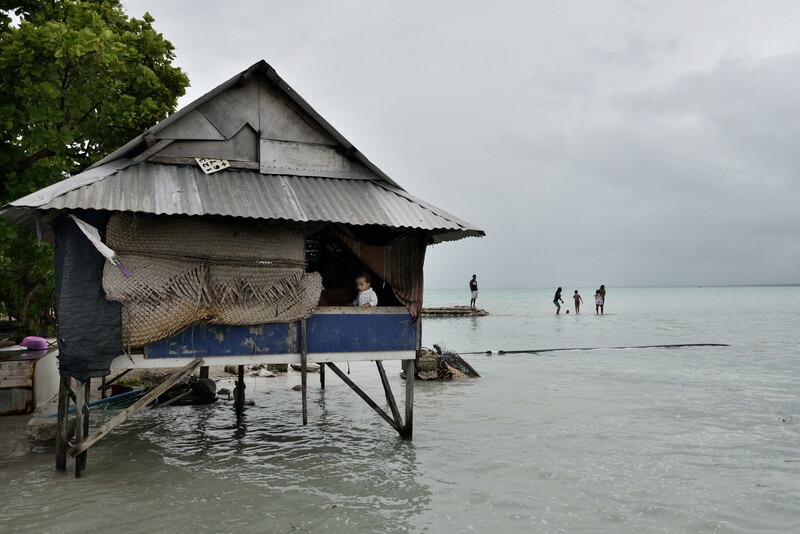 Known as the “early warning system of the global community”, the Pacific Islands region is extremely vulnerable to climate change and faces disproportionately high disaster risks. Slow-onset processes, like rising temperature and sea level, coastal erosion and salinity intrusion are occurring at an accelerated pace due to climate change. In addition, sudden-onset events, such as floods, droughts and cyclones are common and lead to disasters, and occur alongside geophysical hazards, such as earthquakes, tsunamis and volcano eruptions. These phenomena affect all aspects of life, threatening the existence and livelihoods of Pacific communities and affecting migration patterns within and outside the region. In this context, diverse mobility responses have emerged in the Pacific. Some people and communities have been evacuated or even displaced as a result or in the anticipation of a sudden-onset disaster, and others have migrated pre-emptively or were relocated in the face of slow-onset processes or recurrent sudden-onset events that have affected them over a long period of time. Migration, especially for economic reasons, is also used as a strategy to adapt to the adverse effects of climate change and to reduce the risk of displacement in cases of disasters. Internal migration from rural outer atolls to larger islands or from rural areas to urbanized centres is a significant trend in Small Island Developing States in the Pacific that will be exacerbated by climate change. This poses several challenges, including labour market saturation and the emergence of informal settlements in urban areas and labour market gaps in rural areas. It also places additional strains on a delicate ecosystem and overcrowded environment. International migration is also observed, with Australia, New Zealand and the United States of America as the main destination countries for Pacific Islanders. This movement is facilitated by preferential entry agreements and seasonal worker schemes. Progress on addressing these population movements has been ongoing at the regional level, mirroring developments in key global policy processes such as the UN climate change negotiations, the Sendai framework for Disaster Risk Reduction, the 2030 Agenda for Sustainable Development, and more recently the process towards a global compact on safe, orderly and regular migration. Most importantly, the Framework for Resilient Development in the Pacific 2017-2030 (FRDP) endorsed by the Pacific leaders takes an integrated approach to address climate change and disaster risk management and makes commitments relating to human mobility, migration, and climate change, in alignment with the 2030 Agenda for Sustainable Development and other key international commitments. In addition, the Pacific Climate Change and Migration (PCCM) Project, implemented by UNESCAP in partnership with UNDP and ILO and funded by the European Union (EU), also made significant progress on supporting countries to plan and implement national policies on climate change and migration as well as strengthening regional knowledge and policy dialogue on the impacts of climate change on migration, including labour migration. 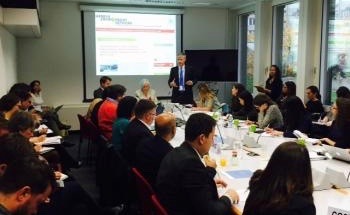 The 2013 Nansen Initiative consultations in the Pacific region also played an important role in supporting governmental and civil society’s work on these issues. 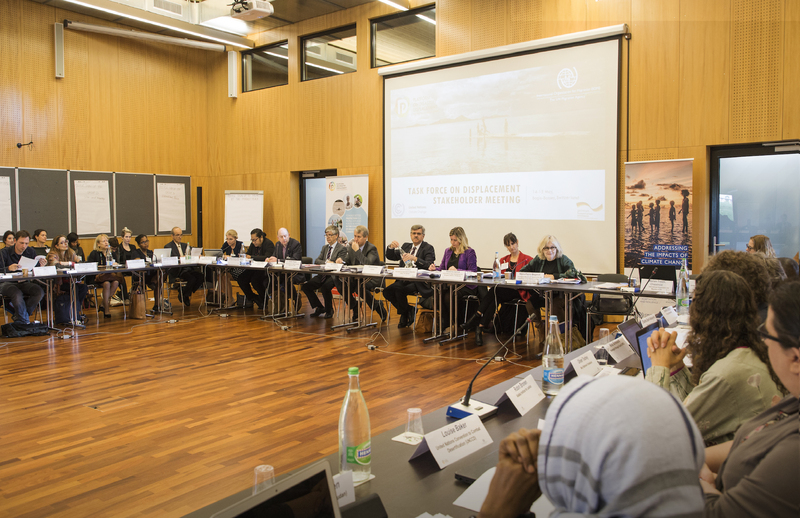 Building on these past efforts, the International Organization for Migration, the Platform on Disaster Displacement (follow-up to the Nansen Initiative) and other actors in the region continue to actively support governmental efforts to address displacement, migration and relocation in the context of disasters and climate change. To offer regional policymakers an environment to build their capacities and to engage in promoting policy coherence, the two-day regional capacity building workshop for policymakers built on IOM’s capacity building programme on Migration, Environment and Climate Change, and was in line with IOM’s Pacific Strategy 2017-2020, with PDD’s strategic priorities, and with the UN Pacific Strategy 2018-2022. 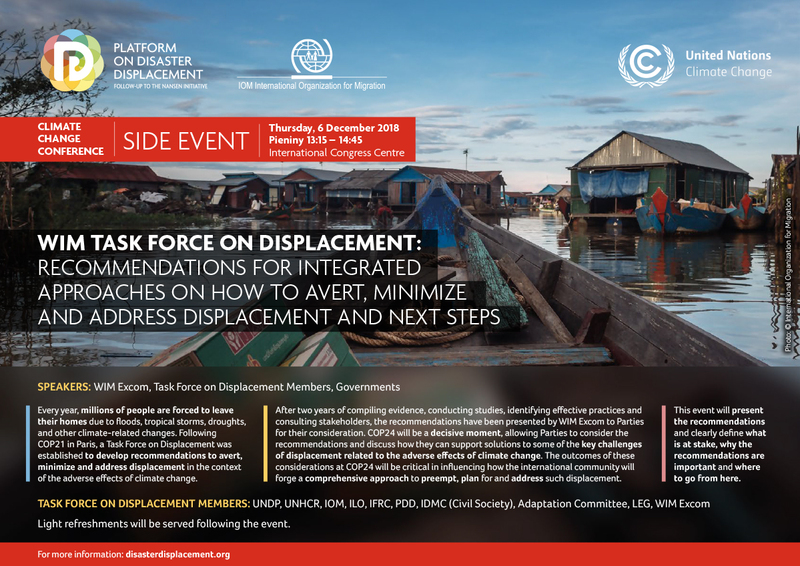 Provide recommendations for the development of a regional rights-based framework on migration, displacement and planned relocation in the context of disasters and climate change. The workshop brought together participants from nine Pacific Island States, representing key national institutions responsible for such areas as disaster management, immigration, climate action, foreign affairs and labour migration, as well as practitioners from specialized regional, intergovernmental and non-governmental entities.